The findings have significant implications for the burgeoning field of cancer immunotherapy, an approach that is focused on harnessing the remarkable power of our own immune system to seek out and destroy cancer. 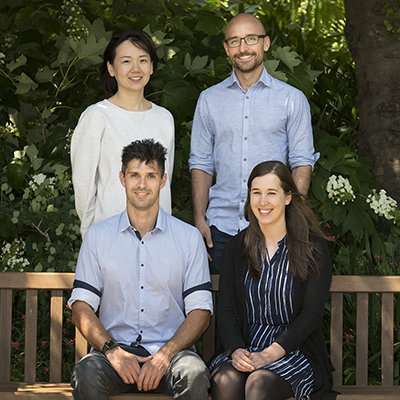 The research, led by Dr. Rich Berry from the Monash Biomedicine Discovery Institute (BDI) and ARC Centre of Excellence in Advanced Molecular Imaging, was published today in the journal Structure. "The immune system is complex and highly regulated, comprising a number of accelerators and brakes," explained Dr. Berry. "While the accelerators activate the immune system, the brakes are critical to maintain the balance and prevent the immune system attacking the body's own healthy tissues." However, many tumours exploit this mechanism by expressing markers on their surface that engage the brakes, in order to restrict the immune system. "One method of immunotherapy, termed 'checkpoint inhibition' involves blocking the immune brakes in order to unleash the formidable power of the immune system on the tumour," Dr. Berry said. So far, two such brakes, PD-1 and CTLA-4, have been effectively targeted in the clinic. However, despite some positive results, many patients do not respond to these treatments. Scientists are on the hunt for new immune brakes to target. Using high intensity X-rays at the state-of-the-art Australian Synchrotron, the team from Monash determined the 3-D structure of a new immune brake, termed CD96. The structure reveals the precise molecular details of how CD96 binds to tumours. "This is really exciting because studies using mouse models indicate that blocking CD96 might be even more effective at controlling tumour spread than the currently available treatments," Dr. Berry said. These studies could pave the way for future experiments aimed at further interrogating the role of CD96 in tumour control, and ultimately aid in the development of novel agents for the treatment of a range of cancers. The paper in Structure is titled Structural basis for CD96 immune receptor recognition of nectin-like protein-5 (CD155).